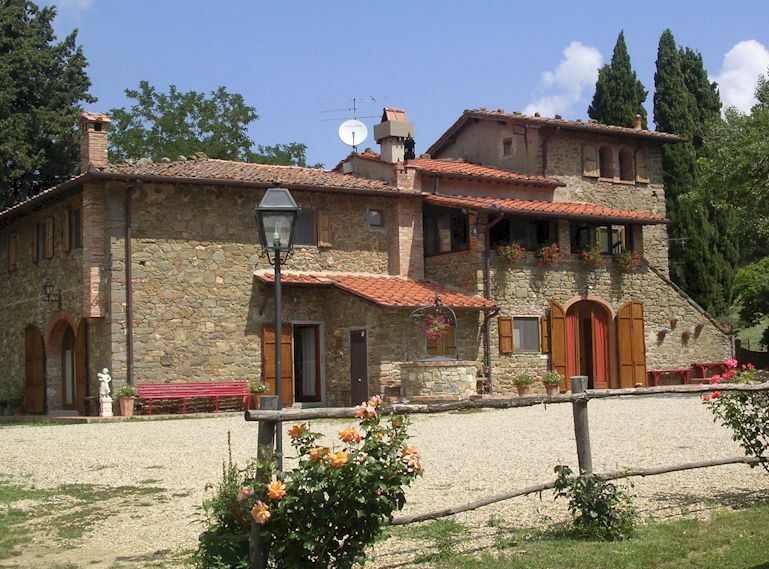 You are here: Home » Blog » Real Estate in Tuscany » When is a Tuscan Villa not a Tuscan Villa? Here I want to say a something about the apparent riddle of “when is a Tuscan villa not a Tuscan villa”. This riddle only makes sense in relation to the Tuscany tourist accommodation sector. 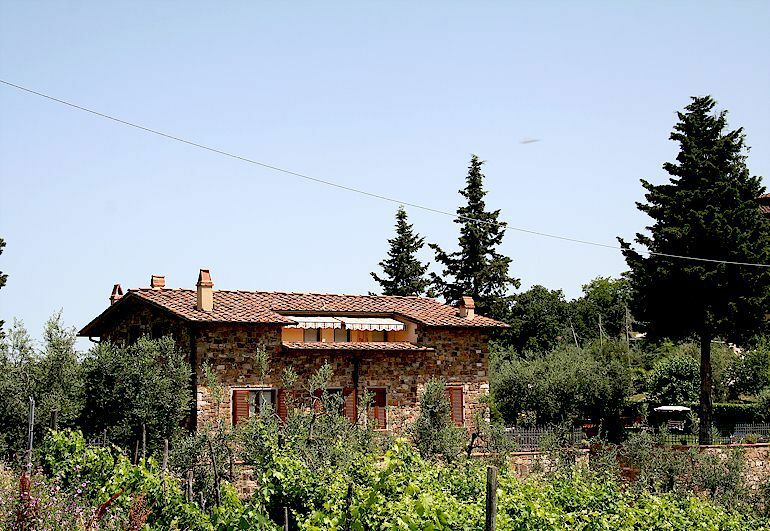 Firstly, in broad terms, what is a true Tuscan villa? 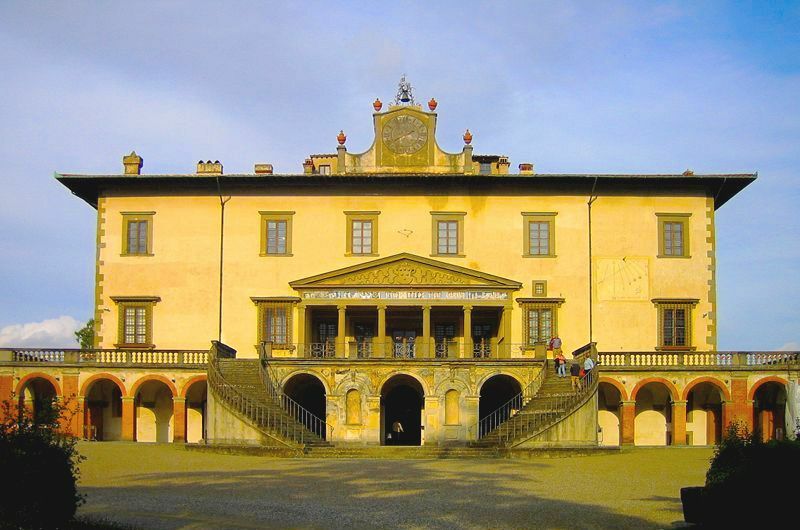 The models for most Tuscan villas are the creations of the ruling families of Tuscany during the Renaissance, the Medici villas being the most famous examples. These structures were in turn based on literary descriptions of the villa ideal of Augustan Roman times. Renaissance villas were almost always surrounded by formal gardens that were an integral part of the overall architecture – the garden was an extension of the interior of the villa. Even the humbler villas built in their hundreds during the 18 C and 19 C strove to conform to these principles. In contrast, the listings of agencies offering vacation rentals are filled with “villas” that are no more than humble (and not so humble), stand-alone farmhouses, known as case coloniche (singular: casa colonica). In some English-speaking countries, notably the UK, many stand-alone suburban houses are referred to as “villas” and this usage has crept into the advertising content of the real estate and tourist accommodation industries. The lesson here is two-fold. If you’re searching for accommodation in Tuscany that is not an apartment or B&B, you can use the search terms ‘farmhouse’ and ‘villa’ more or less interchangeably. However, as you narrow down your search, be sure to distinguish between the two. If you want high ceilings, large rooms and grand entries, a true villa is for you. If you are just a couple or a small family, what you’re seeking is a casa colonica (or an apartment inside a villa). 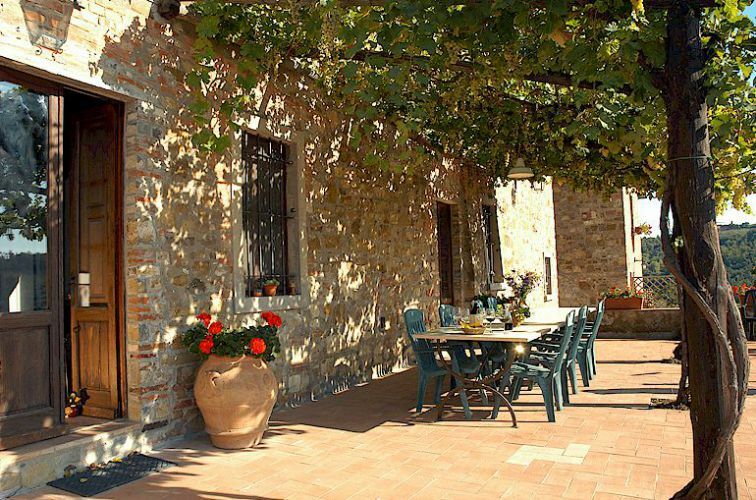 Click here for more about the villas of Tuscany. 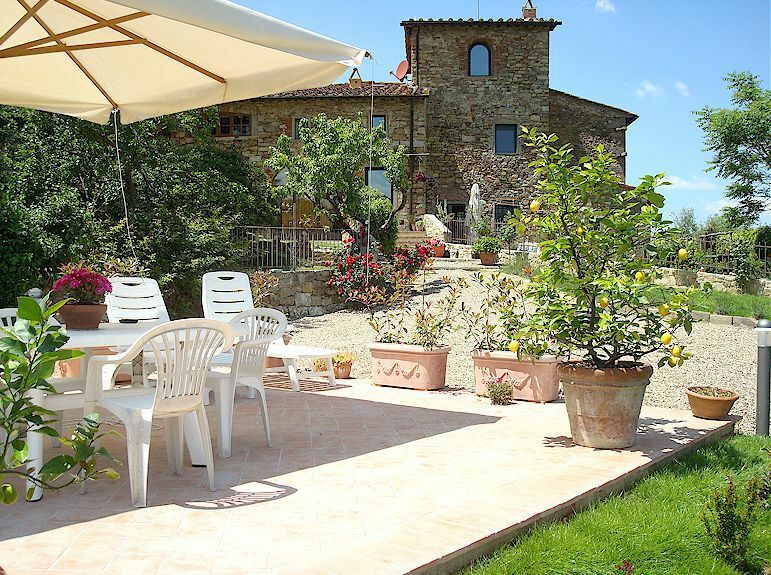 A selection of Tuscan vacation rental villas and large farm houses. 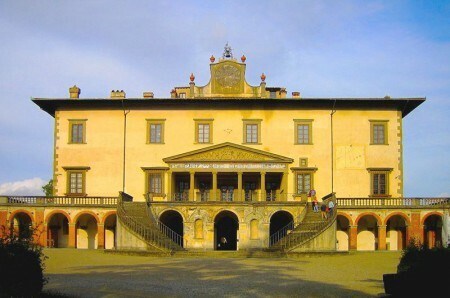 The formal gardens of the villas of Tuscany.